After crash landing onto an extraordinary string of uncharted islands, you find yourself suddenly thrust into adventure! You’re soon on the hunt for a ruthless pirate holding the valuable and dangerous secrets of this long lost island chain. Use your Hidden Object skills to discover the buried mysteries that lead you deeper and deeper into the secrets of Hidden Expedition: The Uncharted Islands! 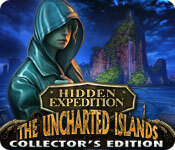 Hidden Expedition: The Uncharted Islands Collector's Edition is rated 3.2 out of 5 by 35. Rated 5 out of 5 by SYLPHEERA from Brilliant sequel to Devil's Triangle! Beautiful pictures, a well designed fantasy world, great music. I am a composer, so I appreciate when developers go to some trouble to have good music in their games. I persevered and didn't skip any puzzles in this one. I wish there were more games like this from this era. I notice that HO games have gone through a long evolution to get to where we are now. I think I really prefer the ones that come from around 2009-2012. This one is a great example.... just make sure to play 'Hidden Expedition: Devil's Triangle' before you try this one. Rated 5 out of 5 by whiting71DK from Puts a smile on your face . . In this very good tale you’re on a quest in the Devil’s (Bermuda) Triangle and a very exciting one too. The wonderful ultra detailed artwork is sprawling with humor if you really care to look, which you also have to in the HOS’ in order to find the bits you need to carry on your search for the bad guy who’s after total power on this island where an old nutty scientist has managed to provide the inhabitants with eternal life but also eternal confinement on the island. 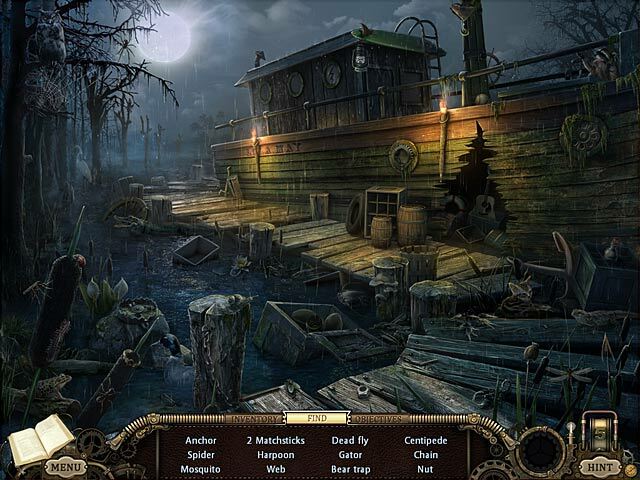 Sound and music supports the tension of the story, and the puzzles are challenging and fun. It is not the easiest of games ( like others of the older games ) but absolutely worth the efford, and to help you, you have hint, cinematics, and written conversations to keep you on track. 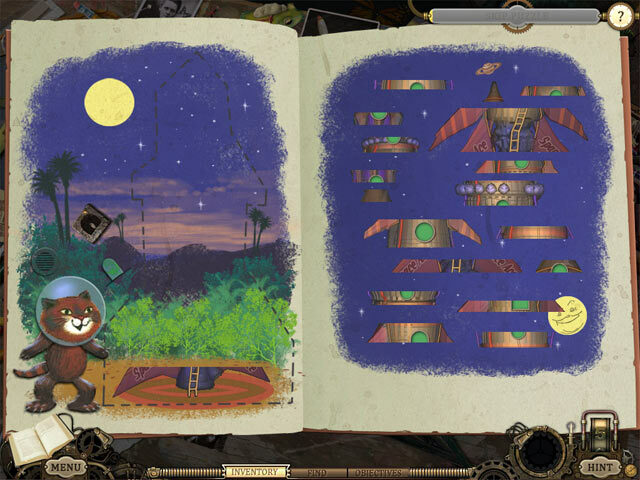 And, you have a journal, which leads you on as well as informs you of the full story behind this one, as this game is one of a sequel of several Hidden Expedition games i.e. Titanic, Amazon, Everest & Devil’s Triangle - ( which I find hasn’t been updated YET ). The bonus game rounds the story up beautifully. I strongly recommend this wonderful game and do hope the others will be updated too. Rated 5 out of 5 by _Sly_ from Lovely! It 'a beautiful game! I found it fascinating from the first minute of the game! unfortunate that the Italian version was never released, but I found fascinating its playability, the search for hidden objects (with the help of the template in case of trouble if you can not find it now) and very sympathetic to solve the puzzles and well done! Great graphics! Rated 5 out of 5 by Firehorse66 from Fantastic Game! But not worth the CE get the SE What a creative game with fun, artistic and a good variety of puzzles. Loved it! Great graphics, although the underwater part was a bit too muddy. Excellent writer, loved the whimsical banter, the newspapers, and comments when you clicked on things. Very funny. I was laughing all the way through. Game was long, the only thing is I feel the bonus game play was lame, way too short this is definitely not worth a CE- I would suggest getting the SE. Also disappointed at the end that the giant fish didn't jump up and swallow Undertow whole! that was lame. Rated 5 out of 5 by Georgiebw from Light & Breezy!! Fun game that doesn't require you to read through endless pages of a strategy guide! Would recommend for kids too - my 6 year old enjoys playing it with my help. Love the HOS where you have to go through layers, always great to have a nice change from the usual "same old same old" HOS. Definitely worth it for those who enjoy the lighthearted games! Rated 5 out of 5 by Hidden_Lady from Fun HO Game for the Family I loved almost everything about this game: the characters, the game plot, the graphics. Some of the puzzles were quite challenging too. The only thing that let this game down in my opinion was that some of the HOS were just too dark! Rated 5 out of 5 by mspaws from These games just keep getting better! I agree with the positive feedback! This game was a little more of a challenge, but still fun! Love the HOS! Great game!!! I want more!!!! 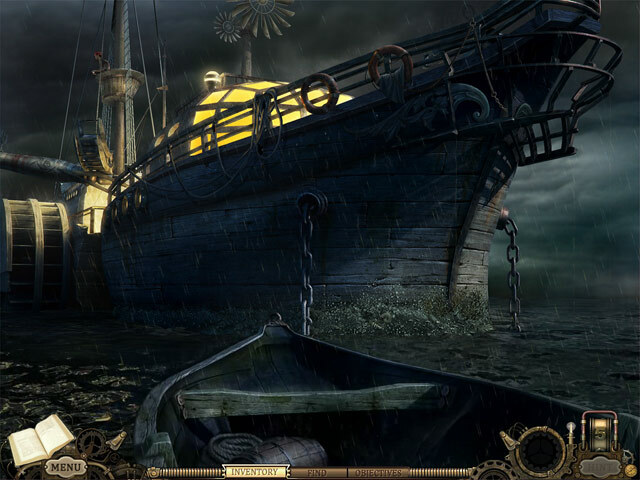 Rated 5 out of 5 by An0therW0rld from Fun Hidden Object Game Very much worth the wait for the continuation to "Devil's Triangle" (Hidden Expedition). Very original, interesting and fun storyline - very enjoyable adventure! Awesome. After crash landing onto an extraordinary string of uncharted islands, you find yourself suddenly thrust into adventure!